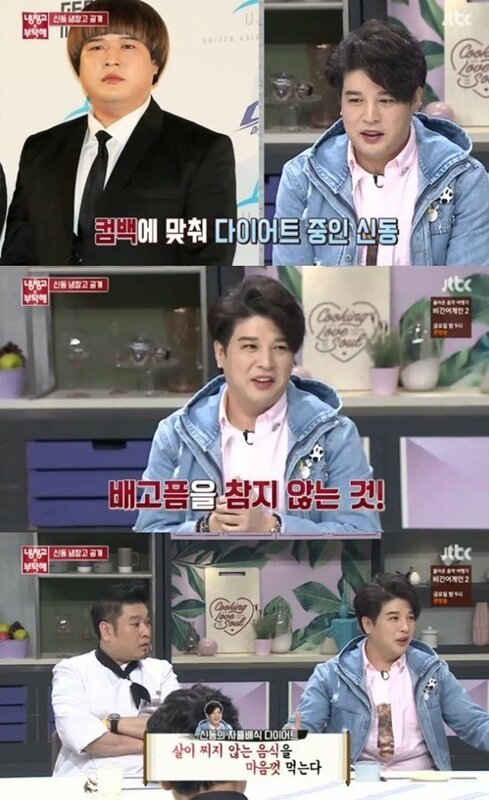 Super Junior's Shindong shared his dieting method. The idol shared how he lost 23kg (around 50 lbs), and said,�"I really studied hard for my diet. I read a lot of books and also watched documentaries. I went�on a 'free regulated diet'. The main point is to not fight against hunger. You sufficiently eat the food that doesn't make you gain fat." The foods Shindong ate during his diet were�soy milk, tuna, jelly, basil�candy, zero cola, calamondin, and canned goods. Shindong added,�"You can't eat that much even if you're allowed to eat without a limit. You always have to have in mind that you're on a diet."